You know how people say that you need to stop and smell the roses? 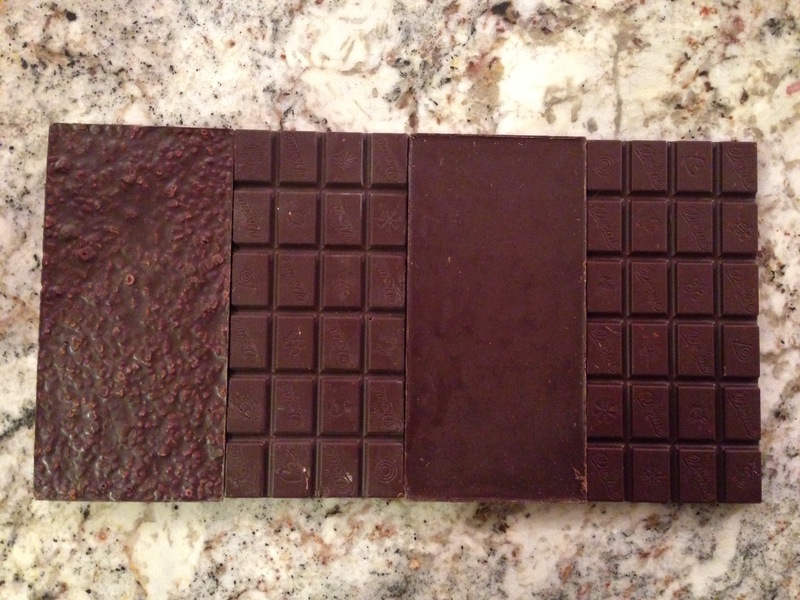 I think we need to start saying, “Stop and smell the chocolate!” because chocolate smells so good! If you’re like me and you tend to buy your chocolate, unwrap it, admire how it looks and then quickly pop it into your mouth, then you and I are missing something super important! You can smell the sweet raspberries amidst the earthiness of the dark chocolate and then taste their light crunchiness. The smell of mango was stronger than the coconut. When I took a bite, the taste of mango flooded my taste buds. After some chewing, you get the taste of coconut and feel like you could enjoy this bar on the beach with a drink in your other hand. Normally I’m not a huge fan of ginger. This one did have an explosion of ginger flavors before I taste orange, but thankfully this bar didn’t have an overpowering ginger taste compared to other chocolates I’ve eaten. I loved the smell of this one! The mint smelled more natural than the mint you smell and taste in peppermint patties – though I’ll still eat those! There were crunchy mint bits inside as well. 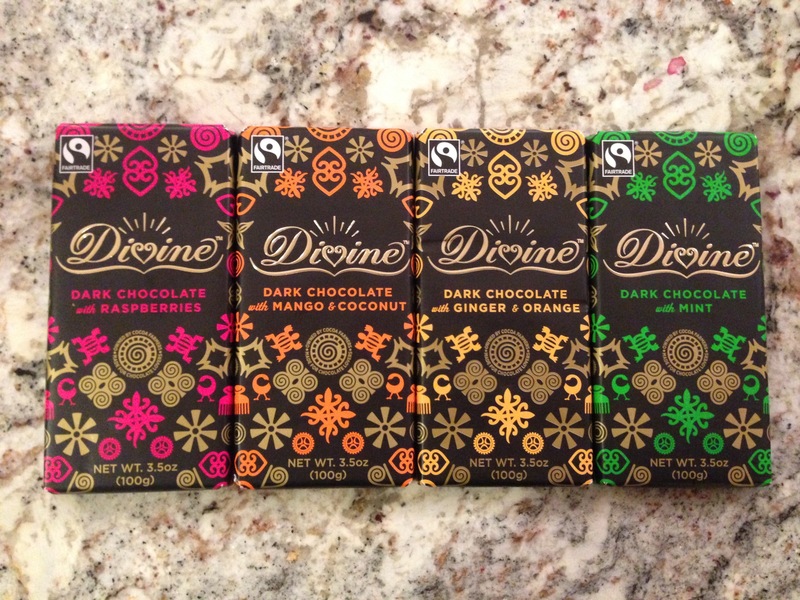 Normally when I grab up a bar of Divine chocolate I go for their milk chocolate with hazelnut, but I’m glad I tried more of their dark chocolate bars instead!